Like so many series, Final Fantasy XIII has its own host of terms and phrases that mean something to those familiar with its mythology and universe, but will leave most of those who aren’t rather lost. This page is here to act as a glossary in case anyone needs a quick refresher! As this section is purely factual, at the conclusion of each concept I’ve elaborated on the relation they have to Serah (if at all), since this section is all about being extra helpful. The maker, known as the God of Light. Bhunivelze created Etro, Linzei, and Pulse. In the mythology, Bhunivelze killed his mother, Mwyn, sending her to the unseen realm whilst he ruled over the mortal one - convinced she had cursed the mortal realm to destruction, Bhunivelze created the fal’Cie in order to seek the door to the unseen realm where he supposed she resided. He awakens sometime after the events of XIII-2 and begins to orchestrate his plans for a suitable vessel and to bring the people’s souls to a new world. He cannot see into human hearts. Serah is the bartering chip to make Lightning the Savior, in exchange for her Soul. Hope Estheim created a man-made Cocoon-like structure to replace the original that isn't supported by fal'Cie, also named Bhunivelze. Unsurprisingly, Bhunivelze uses this as his base of operations for guiding his chosen Savior, as humanity has long since abandoned it for Nova Chrysalia, the world below. The unseen realm is the source of the Chaos. A piece of bound Chaos resides within every human as their heart, the container for their soul. Chaos engulfs the mortal realm at the end of XIII-2 and Nova Chrysalia, a timeless world, is created in its stead. Serah possesses an unusually high amount of Chaos, which means she can tame monsters and have visions of the future as a seeress. She is also able to travel through time via the Historia Crux, and has the power to remember (and revisit) parallel dimensions regardless of the number of changes made to the timeline. A utopia that hangs in the skies above Gran Pulse. Lindzei created Cocoon, and it was designed to be a paradise - humans were lulled there with the promise of food and protection by their fal’Cie betters, when they were in fact nothing more than lab rats dependant on their masters. The experiment? To keep them cosy until the time was right; all along, the fal’Cie planned to drop Cocoon, and the sheer quantity of simultaneous death would, in theory, wedge open Etro’s Gate. Cocoon does indeed fall by the end of XIII and is sustained by the crystal pillar, courtesy of Vanille and Fang when they come together as ‘Ragnarok’ - until the pillar naturally crumbles from the stress some five hundred years later. Years after the initial fall are suffixed as AF, or 'After Fall'. XIII-2 begins in 2AF. Prior to the events of XIII, Serah lives with her sister Lightning in the seaside town of Bodhum, which is emptied by the Purge and later annihilated during Ragnarok. Eidolons challenge l’Cie when they are at their most susceptible and emotional, their most frightened and confused. Eidolons are gifts from Etro, meant to challenge the l’Cie and force them into action; facing an eidolon is a kill-or-be-killed scenario, as an encounter prompts them to cast Doom. (This is a reflection of Valhalla being the Eidolon’s source - the weak serve the strong.) Upon defeat, a l’Cie can summon their eidolon in battle for aid via use of an eidolith. Serah never officially obtains her own Eidolon as she never reaches this level of despair - except, she does. The Goddess of death, sort of. Etro guides the souls of the dead from the chaos of Valhalla back to the mortal realm in order to be reborn, and it was she who instilled souls and hearts in the first place, as humans were created from her blood. Etro vanished to Valhalla due to the neglect and hatred she received from Bhunivelze, because he unwisely made her in the image of his mother, Mwyn. The cycle of death and rebirth is entirely Etro’s territory - Bhunivelze is not capable of this, which is why he wanted Lightning to collect souls and to become the new goddess. 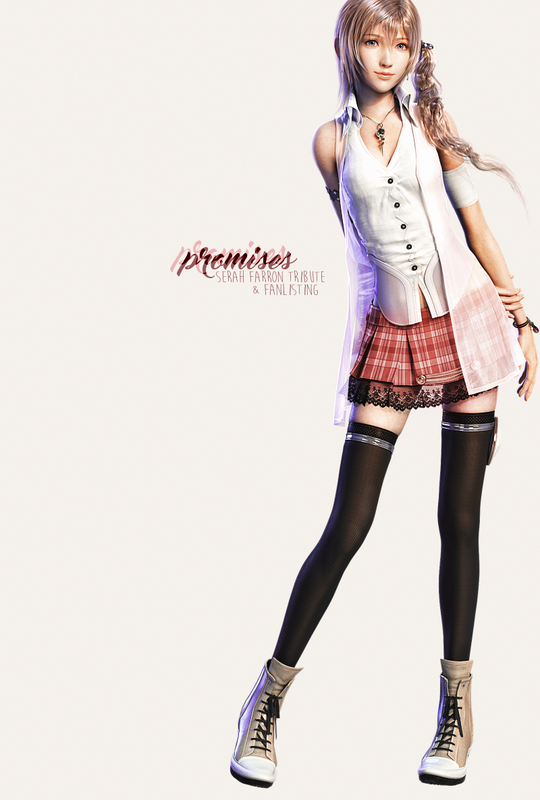 Like Lightning, Serah is one of Etro’s Champions. The fal’Cie are beings created by the Gods Lindzei and Pulse and are given set tasks. Some have no interest in human wants and needs, and others crafted human society to their whims - regardless of their methods, the goal of the majority of the fal’Cie is to send enough souls through Etro’s Gate in order to blow it wide open. This would allow Bhunivelze access to the unseen realm, and Etro herself. Residents of Cocoon were reliant on fal’Cie for everything, including food. Fal’Cie can also create l’Cie as often as they desire and can assign whatever Focus they please (or none, to instantly change a target to cie’th if it feels particularly threatened). The world below Cocoon. Gran Pulse, and anything related to it, was greatly feared by the residents of Cocoon. Humanity had (seemingly) died out here until it was repopulated in the years after Cocoon’s fall. At the end of XIII-2, Gran Pulse is merged with Valhalla to create Nova Chrysalia. Following the ending of XIII, Serah leaves the safety of the pillar and ventures out with the rest of the Bodhum survivors in search of the sea, and together they create the town of New Bodhum. l’Cie are humans who have been branded by the fal’Cie in order to perform a task for them. This task is called a Focus. A completed Focus results in eternal life, as a l’Cie is crystallised... at least until the fal’Cie gives them a new Focus and the process repeats. A l’Cie that fails their Focus becomes a cie’th - the undead. Given enough time, that anger and resentment fades away. l’Cie are gifted increased strength, stamina, and magical ability as means to assist their success. l’Cie, especially Gran Pulse l’Cie, were feared on Cocoon. Prior to XIII-2, magic was only usable by l’Cie. Serah is branded as a l’Cie thanks to her curiosity about the Vestige in Bodhum, which is actually the Pulse fal’Cie Anima (somebody messed up a long time ago, didn’t they). Serah’s Focus is seemingly to destroy the world, and her mark advances rapidly with no way to fulfill it… but Serah manages to win, and beat her Focus, by passing it on to her sister and fianceé. She remains in crystal stasis until the end of XIII, when Etro wakes her, and blesses her at the same time by removing Serah’s brand. A gameplay term, and the means of which characters do battle in XIII and XIII-2. Characters can learn different roles (eventually all of them) which grant different abilities, and can shift between those roles in battle at a player’s discretion. These roles are Commando (COM), Ravager (RAV), Sentinel (SEN), Saboteur (SAB), Synergist (SYN), and Medic (MED). Different combinations have pros and cons - the stagger rate accumulates faster as a Ravager, but the gauge also depletes faster, and the opposite is true for a Commando. Naturally, some characters excel at certain roles more than they do in others, and take to certain types of magic. Serah begins with COM, RAV, and SEN, the same as Snow. She majors in RAV and SAB and also makes a decent Medic, but she cannot learn multi-targeted healing spells, unlike Noel. Her high magic stat more than makes up for this, though. She also learns higher tier spells in lightning and fire, the same as her sister. Additionally, Serah is able to use Paradigm Pack to control monsters; defeated monsters drop crystals (think eidolons, Valhalla, the weak serving the strong…), and in turn they can then fight alongside Serah and Noel in battle. Bending monsters to a person’s will is only possible by those whose hearts brim with Chaos. The essence of a person, provided in part by Etro. Bhunivelze cannot give humanity this quality on his own. Souls pass through Etro’s gate when a person dies, and are later reborn. The Japanese version makes the concept of Souls more confusing by separating out Souls and Hearts. Hearts is the essence of an individual and is not reborn, but Souls are also the essence of an individual and are reborn. (That’s not at all confusing.) For this site, I’ll refer to them in the international way of banding them under the umbrella term of a Soul. Valhalla is the plane between the mortal (life) and unseen (death) realms. This is the place of which Serah dreams of Lightning, and where Lightning was taken when the timeline was rewritten; only Serah remembered this original timeline. Valhalla was destroyed at the climax of XIII-2 when the Chaos seeped through from the unseen realm to the mortal one, which led to the cessation of humanity's aging. Valhalla merged with Gran Pulse, and became a part of Nova Chrysalia.